A large number of Opendoor Homes’ developments now have activity on site. This week, we’re going to be taking a closer look at the progress made on a number of our sites. On the site of the former registry office, we’ll be building 30 new homes by summer 2020. The contractors have now taken possession of the site; site hoarding is now up and demolition of the old buildings is ready to begin. 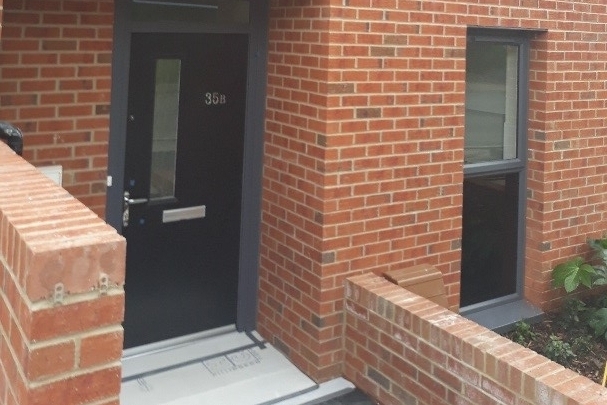 Elmshurst Crescent is the most advanced of our sites, with handover due and tenants moving in mid September. Opendoor Homes staff have visited the site so they can better support any tenants with post-move in issues.